The KidSmart Programme is the coming together of The Promise Foundation’s Stimulation Intervention Programmes (SIP) and the IBM Foundation’s KidSmart Programme. 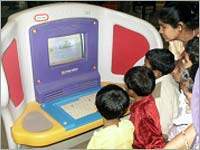 KidSmart has been developed by the IBM Foundation to offer computer technology to the pre-school child from deprived backgrounds. Young Tyke is a computer with furniture specially designed for the young child. The KidSmart software takes the child into the world of story telling, reading, writing, numbers and lays a firm foundation for concept formation and most importantly for self-directed learning. 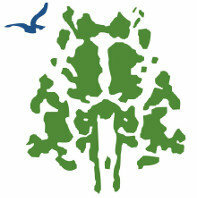 develop a model that would contribute to the strengthening of linkages between pre-school and primary education. promote exploration of alternate teaching methodologies and alternate technologies in the classroom. promote a smooth transition from pre-school to primary school for the young child in poverty. Poor linkages between the pre-school sector and the primary school sector is one important cause for students’ failure in the classroom and subsequent dropping out from mainstream education. An important and urgently required input is for services that would strengthen the links between these two sectors. Some of The Promise Foundation’s other programmes have demonstrated that a shared resource between the two sectors at a common location can help to strengthen interactions between teachers and students in the two sectors. We have found that such interactions contribute to a smoother transition from the pre-school to the primary school for the young child. Keeping this experience in mind the KidSmart project in India focuses on developing Early Learning Centers as a shared resource for a target primary school and neighbouring pre-schools. The Early Learning Centers are located in host primary schools that cater to children from low socio-economic communities. This school is the Center for the KidSmart Programme. The Early Learning Centers are accessible to children of the host primary school as well as the Anganwadis (pre-schools) in the immediate school zone (the ‘feeder’ pre-schools from where children come to the host primary schools). The KidSmart project in India comprises 12 Early Learning Centers in 3 cities. Each center caters to approximately 500 children in the neighborhood. The Host Primary School is gifted a fully functioning early learning center. Each of these centers have 15 – 20 computer workstations. An important highlight of these centers therefore is the access that children have to Information Technology through psychologically validated educational software. 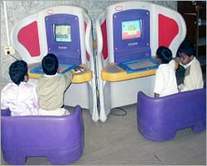 The Early Learning Center is not limited to high technology. A team of teachers from the Host Primary School is trained by The Promise Foundation. Training focuses on methods for promoting success in the classroom especially in the area of reading and number work, the use of educational software and skills for making low-cost teaching-learning material. Each Center is provided with a pre-school and primary school kit and a set of teacher resources. Faculty members from The Promise Foundation who are aware of local educational issues and are fluent in the local language support the Host Primary School for the duration of one year. 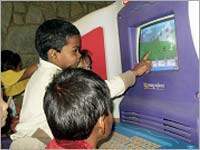 IBM (India) through its substantial technical network in India provides all technical support for the computers in the Early Learning Center in the Host Primary School for the period of one year. The Early Learning Centers particularly focus on reading skills. Based on a decade of research done at The Promise Foundation, teachers offer early reading programmes and support children at risk for reading failure. 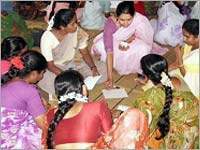 We focus both on English and the local school languages (Kannada/ Marathi/ Tamil). The focus of the Learning Network is to increase the dialogue and enhance continuities in teaching-learning opportunities across the pre- and primary schools. 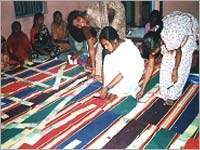 Apart from the staff of the primary school where the Early Learning Center is hosted, a minimum of at least two anganwadi centers are a part of the Learning Network. Traditionally these sectors have remained separated administratively (usually coming under two separate departments in the Government) with limited linkages in service delivery. It is anticipated that such a Network will promote better student enrolment into the primary school. In addition, the network can play a strong role in containing drop-outs from school as well as promoting re-enrolment of out-of-school children.